Russ Andrews is the long-time distributor of well-known company Kimber Cable, but this RA-branded model is, in a sense, a variation on a Kimber theme, using as it does Kimber conductors. In fact, it is apparently a Kimber Timbre interconnect with the addition of a fourth conductor (Timbre has two on one leg and one on the other) to make it symmetrical. It is available for rather less money with Kimber Ultraplate phono plugs, but we chose the upmarket variant with WBT's new minimal contact plugs fitted. Rather like the better known Eichmann connectors, these have a plastic body with just a small metal contact strip for the earth connection, the idea being to avoid circulating currents in the plug body. The centre pin is made of copper and is hollow, with a curvy gap cut in each side to give it some springiness and enhance grip in the socket – the body has a screw-down clamp for the same reason. As with the Black Rhodium Polar Illusion, which shares a few design details with this one, we found treble to be very clear and open, with great detail. In this case, though, the rhythm was for us the outstanding quality of the sound. Thanks to a strong, but not overfull bass and a vigorous midrange, there is a real snap to the sound and both percussion and instruments like piano benefit with some real foot-tapping potential. 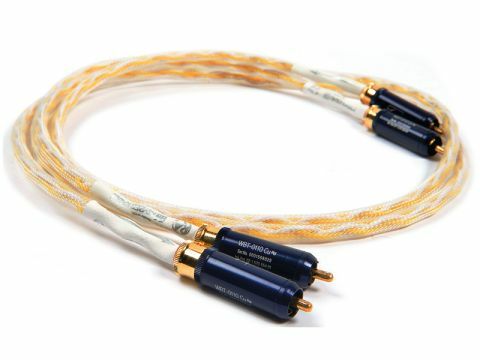 For some reason, this cable seemed a little fussier about what equipment it connects and a valve preamp with relatively high output impedance gave slightly less good results, comparatively sluggish though still detailed and enjoyable.